I have written a sharepoint add-in that is more userfriendly to manage documents in a library. To make it easy for me im using Allitems.aspx together with an id to preview document. The preview pops upp in a new tab. Problem is if the user uses the "close" button marked red, in the corner they arrive at the document library where i dont want normal users to be. Can i some how remove that close button? Redirect? 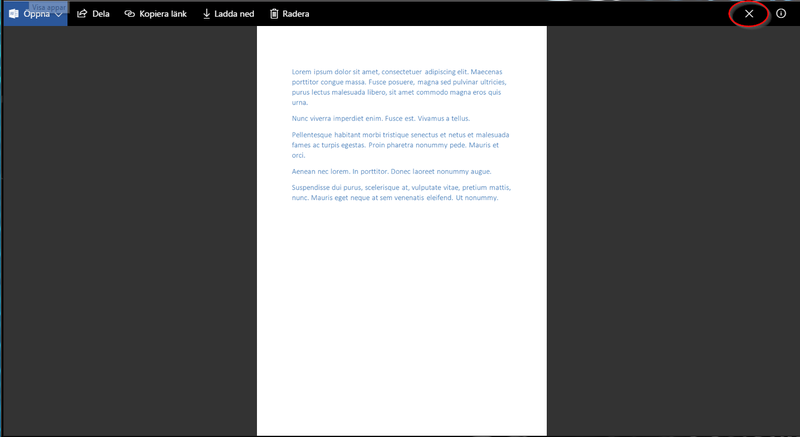 Or do i have to write my own custom preview in an iFrame? I understand from your scenario your goal is to preview the document from a SharePoint add-in you are building a URL which you can be used to open from a browser tab. Either way works for us. Not the answer you're looking for? Browse other questions tagged web-part document library aspx preview or ask your own question.